Steve finishes the oil painting in this video. 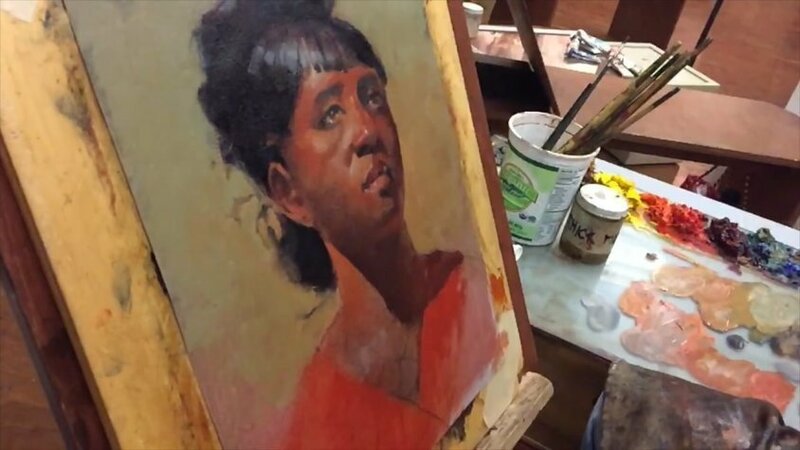 The key concepts addressed in are: making corrections when the painting is dry; mixing color to match glaze; finding a unifying color; working the background and marrying to the portrait with breathing line; finalizing darks and highlights. Techniques for finishing facial details, hair, and clothing are demonstrated.